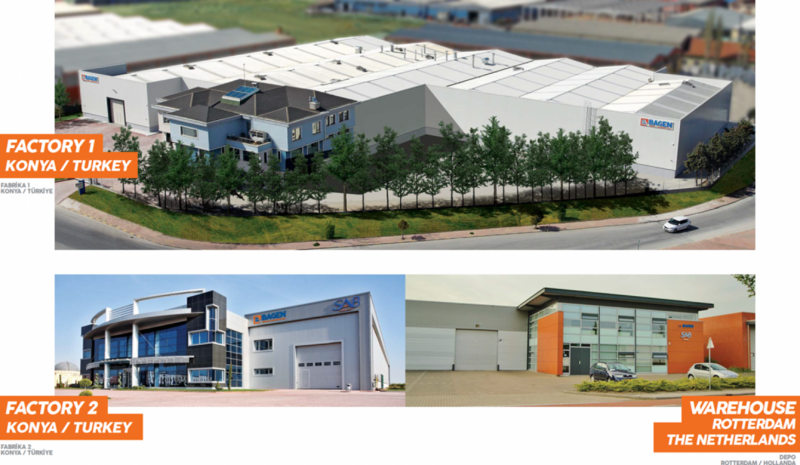 SAB Automotive Group, BAGEN located in Europe and Turkey, is a leader in Automotive Steering & Suspension Parts, as well as Air tanks and a major quality partner for heavy truck (HCV), business machines (CV) producers. A focused supplier for OE and aftermarket, BAGEN-branded products are synonymous with cutting-edge technology. BAGEN serves tier-1 heavy truck manufacturer across EMEA and executes roadmaps on behalf of leading brands worldwide. BAGEN drives customers' designs, validates their system, licenses respective technology, and supports implementation towards full commercialization. BAGEN is an expert group in the automotive Air tanks, Steering & Suspension systems with technical staff specializing across the various technologies of V-Stay Bar, Track Control Arm, Tie Rod End, Centre Drag Link, Torque Rod, Ball Joint, Stabilizer Link, and Repair Kit for Heavy or Light spare parts Components. This unique trait allows for a truly holistic view on product and system design. BAGEN operates out of Turkey and Netherland, and is privately held.